Amidst long list of absentees, including Saina Nehwal, focus will be on Rio Games silver medallist PV Sindhu at the championship starting on March 26. This year’s Yonex-Sunrise India Open has had to withstand a few setbacks even before it gets off the ground. Local favourite Saina Nehwal had to pull out due to medical reasons before top seeds in both men’s and women’s singles – Shi Yuqi and Chen Yufei – did so at the virtual eleventh hour. With the rehabilitating Carolina Marin – a big favourite of Indian crowds – also absent, along with the top two Japanese shuttlers, it has fallen on PV Sindhu to provide the BWF World Tour Super 500 tournament its share of star power. With the event falling between the All England Championship and the start of the Olympic qualification cycle, it is understandable that many of the top players have given it the miss in order to stay in prime shape for the race to Tokyo. The world number six, who is now the highest-ranked player at the tournament, will have mixed memories going into this edition, which has a new home at the KD Jadhav Stadium inside the Indira Gandhi Sports Complex. Sindhu triumphed on home turf in 2017 but was on the wrong side of a major upset last year when Beiwen Zhang turned the tables on her. It was part of a long sequence of final defeats that seemed to define Sindhu’s career for a long time. But was one of its lowest points as the Indian was a heavy favourite going into the title clash. It is one thing losing to the likes of Tai Tzu-Ying, Marin, Nozomi Okuhara and Akane Yamaguchi, but quite another to be defeated by the Chinese-turned-Singaporean-turned American who was not even inside the top 10 at that time and was without a travelling coach or a federation to back her. “It was a time I was losing a lot of finals, and thinking ‘I don’t know what’s going on’. But I figured out that it all came down to a few unforced errors at crucial points. It was more a technical thing than mental. We (Sindhu and Zhang) have played a lot against each other. The final last year was a particularly close one and I lost 20-22 in the decider,” the Indian star said on the eve of the tournament. For the record, Sindhu leads the head-to-head 4-3 after coming out on top in their last two encounters. Zhang had won their previous three matches. 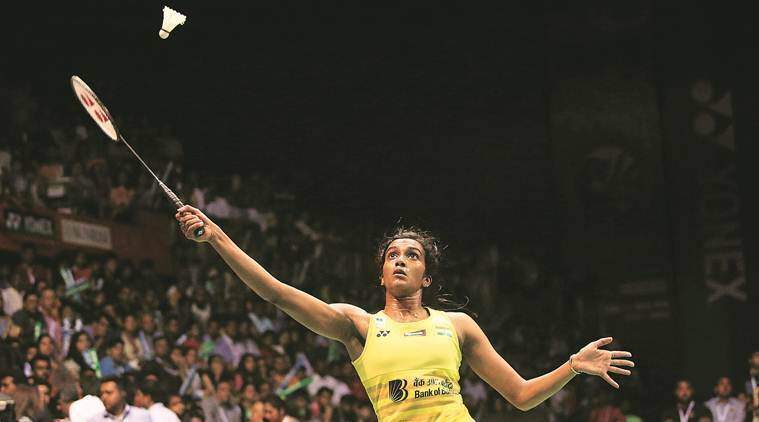 Sindhu seemed to have got over her final jitters when she triumphed at the BWF World Tour Finals at the end of last year, but 2019 has not been too kind to her till date. She lost to Marin in the quarterfinals of the Indonesia Masters and was bundled out of the All England Championships in the first round by Sung Ji Hyun. But the hectic tournament schedule prevents a player from mourning over a loss for too long as they have to get back on the horse pretty soon. “I felt bad about the All England defeat for a few days as I had prepared well for the event. But I had to come back stronger. There was the Asian Badminton Championships the next week and I had no time to feel bad. It’s tough to pick and choose tournaments as there is a fine in place. But one needs to be injury-free and 100 per cent both physically and mentally,” Sindhu said. Even if the week in Delhi doesn’t go as planned, there will be little time to mope as tournaments in Malaysia and Singapore follow immediately. With a slightly depleted field for this year’s tournament, Sindhu will be a big favourite for the title. But the new venue for the event means there is hardly any home advantage for the Indians, most of whom had a look at the arena for the first time on Monday. In Chen Yufei’s absence, the biggest challenger for Sindhu is expected to be Thai touch artist Ratchanok Intanon, a two-time India Open champion who has already tasted success this year at the Malaysia Masters, and ‘deceptive’ Chinese left-hander He Bingjao, whom the Indian is seeded to meet in the semifinals. There is also 2012 Olympic champion Li Xuerui, making a comeback after a long injury layoff, but is nowhere near her best at the moment. Sindhu will open her campaign against compatriot Mugdha Agrey.